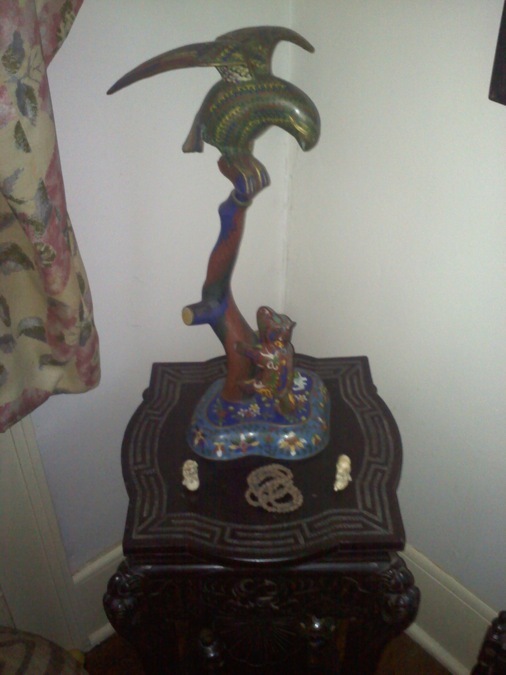 Two-piece (bowl and stem separate) metal, ritual pipe. 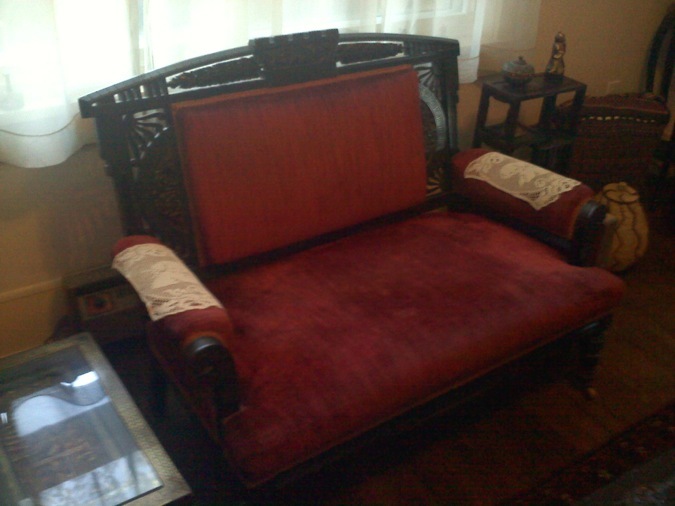 About seven feet tall. 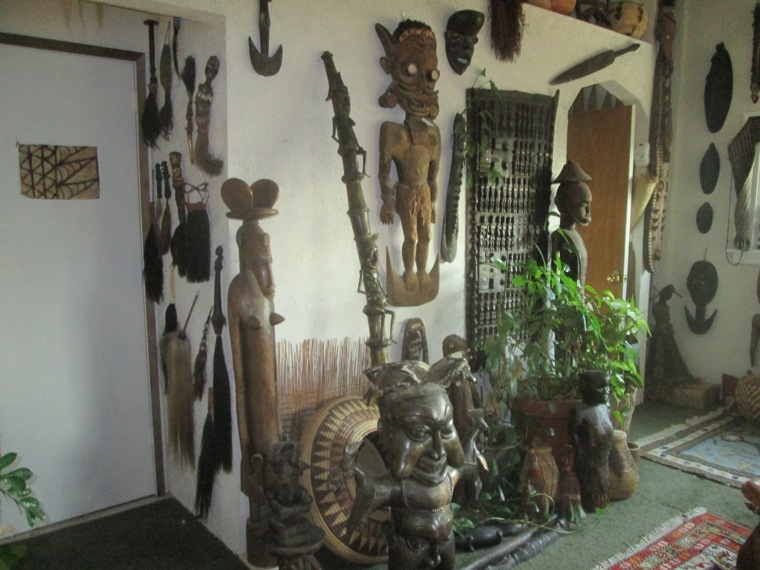 Fly whisks and several other pictured objects also still available. 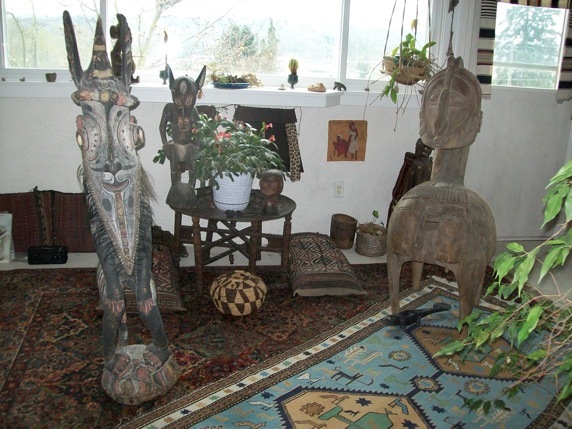 Nimba wood sculpture on far right. Most other pictured objects also still available. 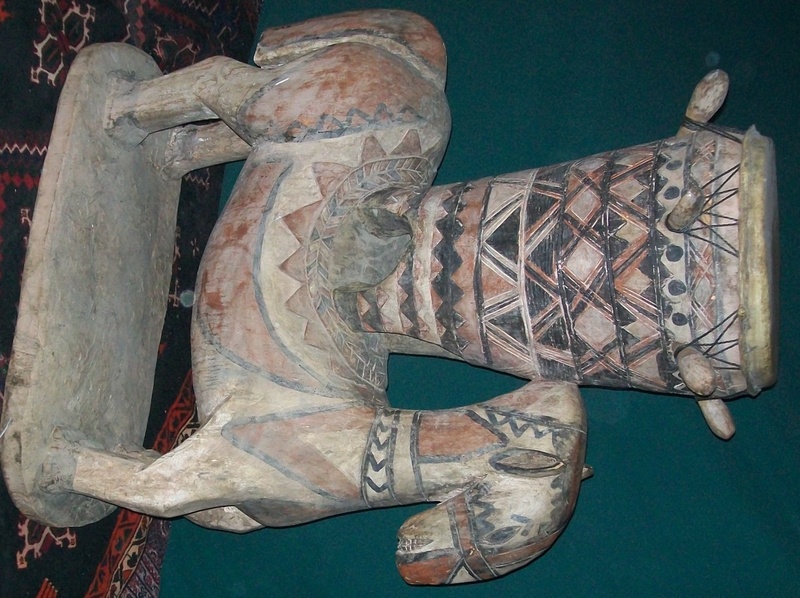 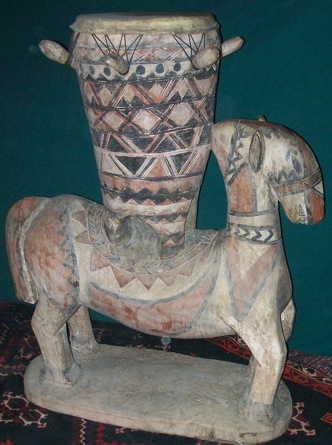 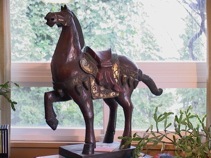 Carved African drum horse about five feet tall. 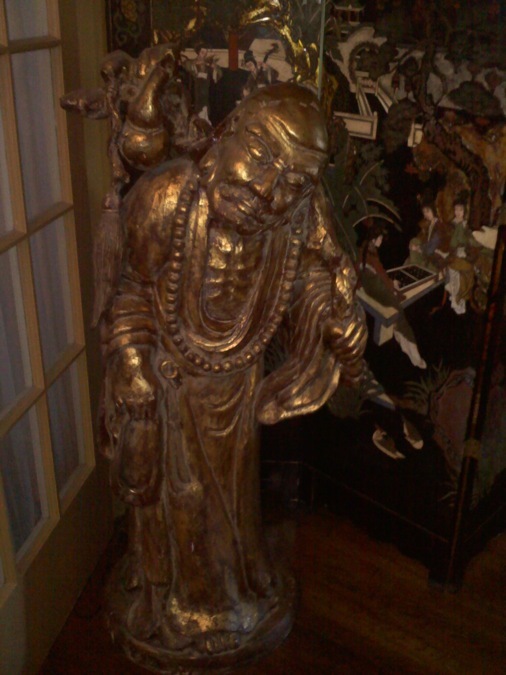 Luohan statue with gold leaf.